I can’t believe Thanksgiving is tomorrow! This holiday has totally snuck up on me. If you’re in the same boat, you may be feeling a bit unprepared this year. So if you’re looking for a fun and creative way to decorate your table tomorrow, here’s an easy last-minute idea. Line your table with a long piece of kraft paper. Set-up your favorite dishes and silverware, and then add in a few white pens. 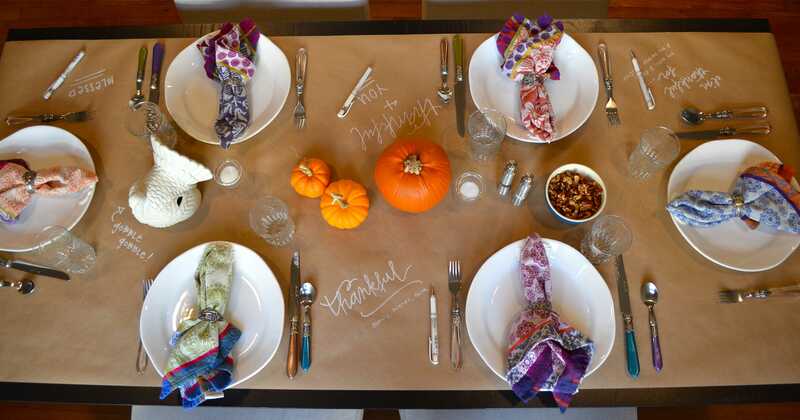 Ask your guests to get creative and write or draw what they are thankful for. And then sit back and watch the creativity begin! This is a great conversation starter and a wonderful idea for the little ones. Plus, the set-up doesn’t get much simpler. 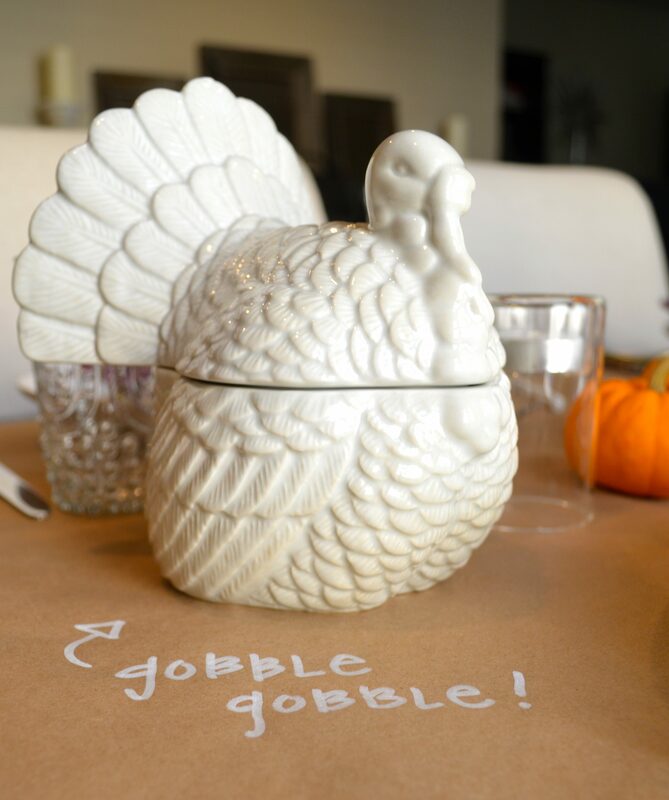 You could also write your guests’ names next to their plates, or draw arrows and label any food on the table. Be creative and have fun! Alright, it’s time to start some baking. I’m testing a few new “paleo” pie crusts this year… what new recipes will you be trying? Have a wonderful Thanksgiving! oh that’s cute! And I love your handwritting. This is a great idea! Thanks for sharing & have a Happy Thanksgiving! Thanks!! Happy turkey day to you too!